Mink for success. 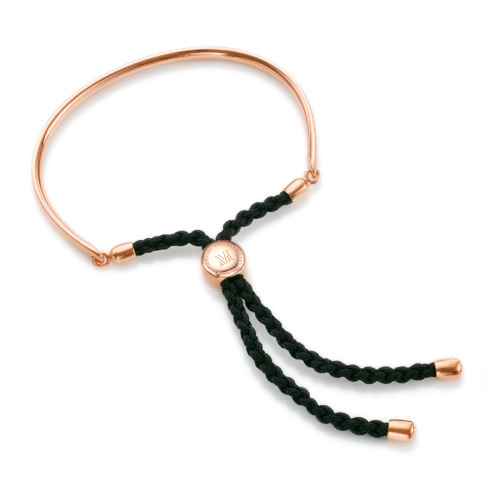 This iconic friendship bracelet is an essential piece and the perfect gift for friends. 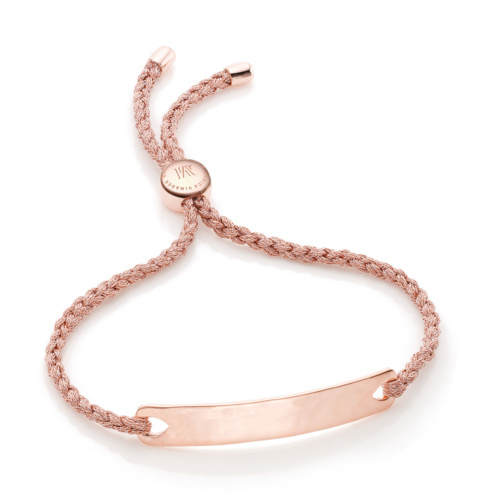 The bracelet features a smooth, curved bar in 18ct Rose Gold Vermeil on Sterling Silver. The bar measures 10.8cm in length, with a gap of approximately 5cm between each end. A toggle slides to easily adjust the cord's length for a snug fit. Personalise with an engraving on the front of the bar and on the toggle.